Updating reporters on the floods, Goodale said he and his emergency preparedness counterparts across the country will develop a strategy that aims to “build back better.” That means using engineering techniques or relocation decisions that make communities less vulnerable and more resilient to floods, fires and ice storms in the future, he said. As the water subsides, the extent of the mess left behind will be revealed to you. It is backbreaking work trying to clear things up and make your home livable again. You may also run out food and potable drinking water as well as electricity for a few days or weeks, so you can expect the recovery to be a bit rough and bumpy at first. Peters and her husband, Alan, have owned the resort on the banks of the Jacks Fork River in southern Missouri for 31 years, and they say they’ve never seen flooding like this. This past weekend, the river got up to a record 28 feet, filling several of her rooms with water and sweeping a whole row of cabins downstream. As of Friday, Peters had no idea where the cabins landed. “The whole town of Eminence is devastated,” Peters said. Heavy rains led to record flooding across southern Missouri last weekend. 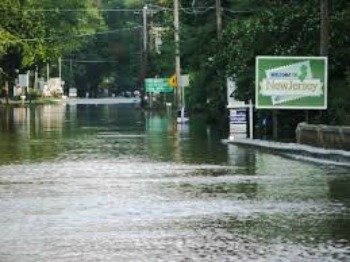 Officials say six people in the state died as a result of the floods. Despite all the devastation, it is heart warming to see people trying to rebuild their lives amidst all the loss and damage. It is just a testament to how strong human nature is especially when our very survival and existence is on the line. Despite the damage, the town of Eminence is still holding its annual Ozark Mountain Festival on Saturday. This year’s event will be a fundraiser for those affected by the flood disaster, wherever the need may be. Recovery is always the goal whenever disaster strikes. After all, who wants to live in a constant state of disarray and confusion? Nobody. We all want to get back to the life we once lived and try to fix whatever has been broken down or destroyed in our homes. The government may extend a helping hand but it’s not always the case. Even if you don’t get the help you need, try your best to recover and continue living. Natural calamities are a normal part of life. We can’t avoid them no matter how hard we try. The best thing you can do is to always be prepared for the worst and not hesitate to bounce back after. Simple measures like having an emergency kit or an emergency plan can save lives and protect your property from severe water damage caused by flooding or other disasters that are just as disastrous.